The prestigious Emerging Voices award was created in 1982 by The Architectural League of New York to showcase the work of early- to mid-career North American architects. Each year, through an invited competition, a jury selects practitioners or firms with a significant body of realized work that represents the best of its kind and has the potential to shape the future of architecture and landscape design. 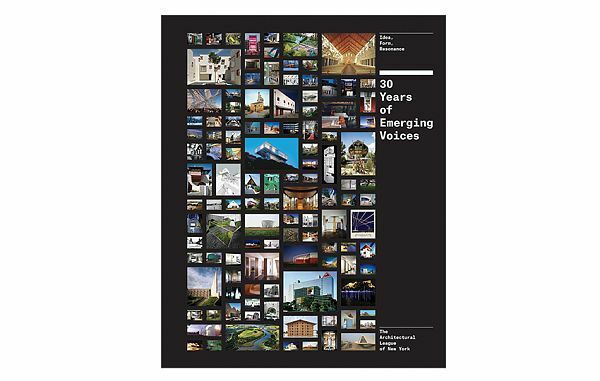 Thirty Years of Emerging Voices documents and critically assesses the first three decades of the League’s Emerging Voices program. Essays by Reed Kroloff, Ashley Schafer, and Karen Stein and concise commentaries by Alan G. Brake, Henry N. Cobb, Alexandra Lange, Thomas de Monchaux, Paul Makovsky, and Suzanne Stephens complement the presentation of work from the nearly 250 individuals and firms that have been selected for the program.